Cashback Reward : Earn up to 434$! TransNGS Stranded RNA-Seq Library Prep Kit for Illumina is designed to prepare Stranded RNA libraries compatible with the Illumina® sequencers. Differently from conventional stranded RNA seq library prep kits, the TransNGS Stranded RNA seq kit generates cDNA using random hexamer with a 3’-Adaptor. 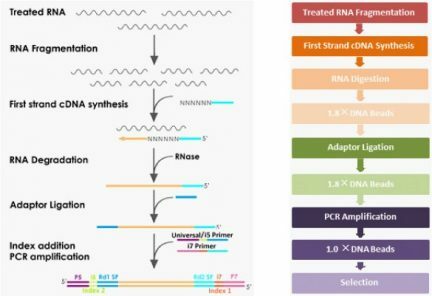 Subsequently, the 5’-Adaptor is ligated at the 3’-end of the first-strand cDNA, bypassing the need for 2nd strand synthesis and digestion. Then, end-repair and dA-tailing are performed. 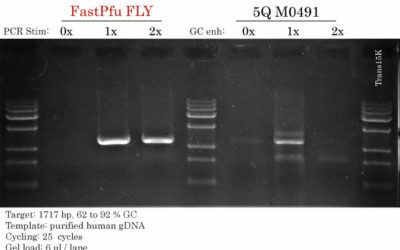 As a result, only information from the 1st strand cDNA is preserved. 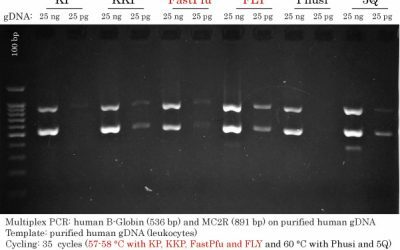 This kit is tested and promised to provide stable and reproducible cDNA libraries, by using either total RNA samples, rRNA-depleted samples, mRNA purified samples or lncRNA samples. 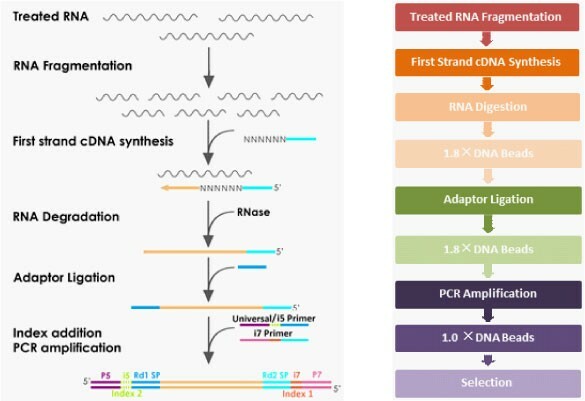 Starting Materials: 10 ng – 1 μg total RNA treated with rRNA depletion, 0.1 μg – 4 μg total RNA treated with mRNA purification and lncRNA. Requirements: high quality RNA, which is recommended to use an Agilent 2100 Bioanalyzer to analyze the total RNA. The RIN (RNA integrity number) value should be ≥ 7.0. Using degraded total RNA for library construction will lead to in 3’ bias in RNA-seq. The ratio of OD260/OD280 should be between 1.8 and 2.1. Index Primers : TransNGS Single Index Primers Kit for Illumina® (TransGen, KI201-KI221) or Dual Index Primers Kit for Illumina® (TransGen, KI231).